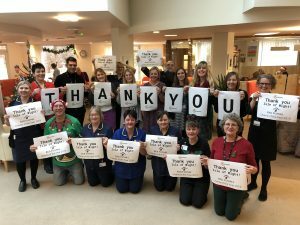 Mountbatten Isle of Wight has been chosen as Red Funnel’s 2019 Charity of the Year following a public vote. Working in partnership, Red Funnel and Mountbatten aim to raise at least £50,000 over the course of the new year through a range of fundraising activities including Walk the Wight, which Red Funnel has supported since 2010. This year’s online poll set a new record with over 12,000 members of the public voting for their favorite charities. The two other shortlisted candidates were Naomi House and Home Start.